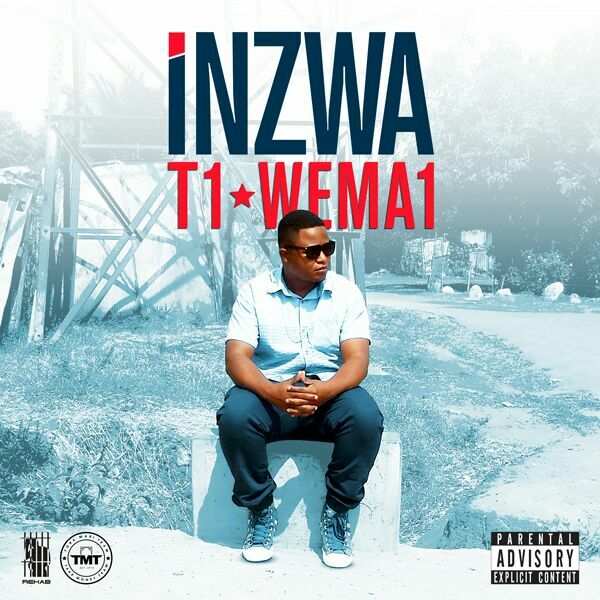 In a year with a slew of really impressive albums the pressure was on T1 to come through and earn some bonus points for his crew TeamRehab.The album titled Inzwa is his debut but the level of maturity,radio friendliness and the ease at which the homy delivers the verbs reveals a soul who has been in love with the game for a long time just waiting for the chance to be heard hence the title "Inzwa" loosely translated-hear.The emphasis isn't on mind blowing bars though one encounters those in between the Machiavellian storytelling of the place he is at and were he has been and hopefully were he wishes to be,by the Dzivarasekwa bred emcee. Perhaps what gives the album that solid unified feel as opposed to the disjointed feel of many albums is the centralized location of all the events chronicled on it.....the ghetto.Whether the homy is having a one on one convo with poverty as is the case in Nhamo or in Mangwana when he is telling the story of how he,the girl next door and the homeboys touting for a living still dream of a better tommorow,his native Dzivarasekwa plays host to the tale.The sultry Tanya lends her voice in both Nhamo and Mangwana becoming the hood angel who reassures WemaOne that life can indeed improve and tommorow will be better. The title track Inzwa,Patown & Ghetto with Goldfinga and Ishy X continue in the same vein talking about the hustle,ghetto life etc and by this stage you feel the monotony creeping in and you are seconds away from pressing stop but don't just as yet,because the best is yet to come.My personal favorite Sweethustle takes you offguard with a perfect mix of Foster's killer guest verse,Galis Kush's trippy patois chorus and T1's ability to own the Soundmotion production while taking nil prisoners on delivery and flow. For the party animals he enlists the vocal talents of Chris James and the homy doesn't disappoint delivering sing along choruses on Chakakala & We On.The turnup beats from Xndr and Mclyne are a further invitation to party as are the verses from T1 and his guests Kidd Active & Marquess on the aforementioned We on. The loverbirds are in for a treat as well from the Tumashoko interlude to the story of a young lad courting and finally getting the girl of his dreams in Make you Mine to ultimately hitting the clubscene with bae in the Xndr assisted Tiri two.Gold diggers are not spared either with Anochera Ngoda which sees T1 and Tinashe Makura warning us about ladies who act all sweet in a bid to get to a Gee's pocket. The album is available for download on @T1wema1's twitter and facebook pages and physical copies can be found at the Team Rehab studio or Empire store at Regal building in Harare.